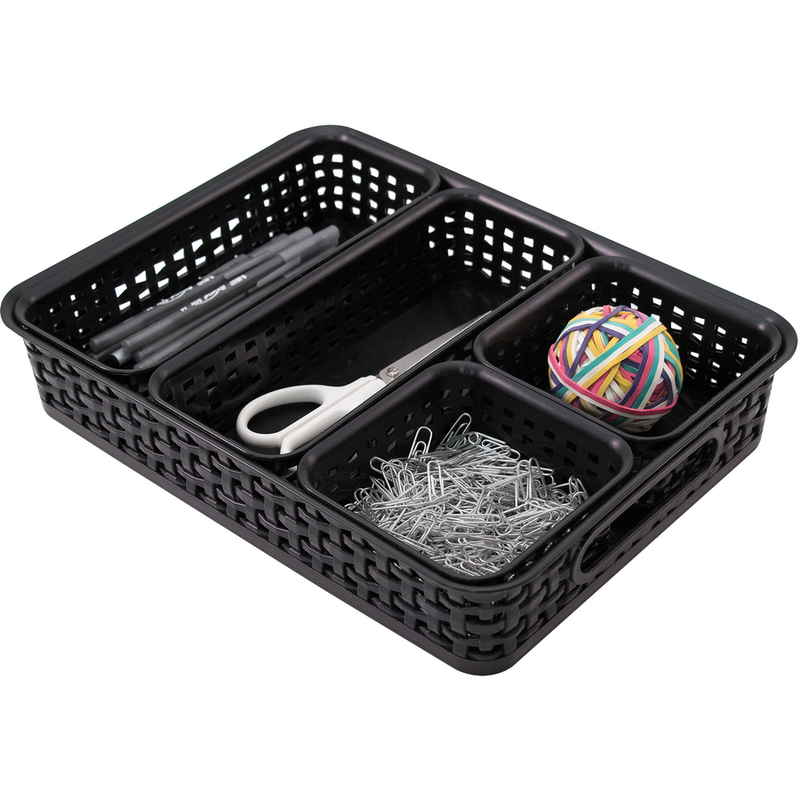 Plastic weave bin set features two rectangular bins and two square bins that nest inside a letter-size bin to offer multiple storage options for your supplies. Open-top design allows you to quickly store and retrieve items in an instant. Side handles in the large bin allow you to easily transport your items from room to room. Durable plastic construction provides long-lasting use and wipes down easily for quick cleanings. 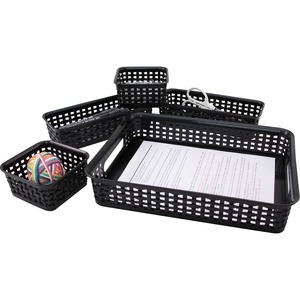 Weave bin set is perfect for storing documents, pens, pencils, scissors, paper clips and more.